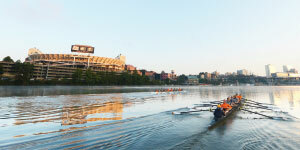 The University of Tennessee, Knoxville, is Tennessee’s flagship campus of the state’s land-grant institution. Founded in 1794,the University thrives on excellence, innovation, and tradition. We are committed to leadership and servicein our community and beyond—after all, we are the Volunteers. Our faculty are renowned scholars in their disciplines and committed teachers who serve through theUniversity’s 11 academic colleges,nine of which offer undergraduate programs. We’re committed to ensuring our campus is a welcoming environment where people are open to learning from one another. We celebrate our differences and the opportunities they create through experiences withpeople who have different beliefs and come from other places, cultures, and backgrounds. Thanks to our wide variety of undergraduate degree programs—more than 360, in fact—you’ll have no problem finding the course of study that’s right for you. We’re dedicated to your success.From academic advisors to livingand learning communities to the Student Success Center, we provideour students with a top-notch support network. The Honors and Scholars Programsat UT provide a more intimate college experience within the contextof a large research university by integrating academic achievement and student life with a culture of intellectual and civic engagement.Each of our programs offers a unique honors experience to appeal to a variety of student interests and talents. Students may qualify for programs like the Chancellor’s HonorsProgram, Haslam Scholars Program, Honors Leadership Program, or 1794 Scholars Program. 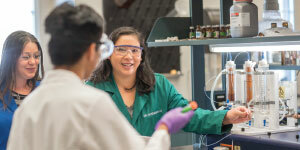 Carnegie classified as a “Doctoral University: Highest Research Activity,”UT is an elite research institution. Countless undergraduate research and creative opportunities exist acrosscampus, fostering faculty and student collaboration. A unique partnership with OakRidge National Laboratory allowsstudents to work beside some of theworld’s most renowned engineers, microbiologists, and ecologists. Our athletic teams are part of thehighly competitive Southeastern Conference. UT’s 18 men’s and women’s NCAA Division I intercollegiateteams have won 23 national championships and 196 regular season and tournament SEC championship titles. Education is about more than lectures and exams. Our 910-acre campus is a thriving environment where students live, eat, learn, hang out, work out, and play. 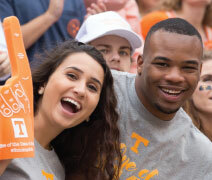 UT offers more than 500 organizations, including sororities and fraternities, professional societies, sports, and international interest, academic, service, and government groups. Our students can live in 12 on-campus residence halls. Our campus is always growing and adding modern facilities, including a new Student Union. Members of our living andlearning communities have unique opportunities to merge academics and social interests with residence hall life. There are more than 30 dining locations on campus, including retailrestaurant options and homemade fare. Plus, there are convenience stores, markets, fast food, and coffee shops located all around. The Campus Visit Program is the best way to see UT. Student ambassadors will lead you and your family on a tour that includes residence halls and dining facilities, academic buildings, campus services, and our greenspaces. The visit also includes an information session with an admission counselor. Tours are offered throughout the year during the week and on select Saturdays. More info is available at visit.utk.edu. College is a big investment, and we offer a variety of funding programs to demonstrate our investment in you!More than 80% of UT students and90% of entering freshmen receive financial aid and scholarships fromfederal, state, and private sources.Contact One Stop Student Services at 865-974-1111 or visit onestop.utk.edu/financial-aid for information aboutthe scholarships we offer and other financing opportunities. Become a VIP (Vol-in-Progress) by joining our mailing list at vip.utk.edu to receive important information from UT. If you’re ready to apply, you canstart your application at vip.utk.edu or via the Common Application atcommonapp.org.